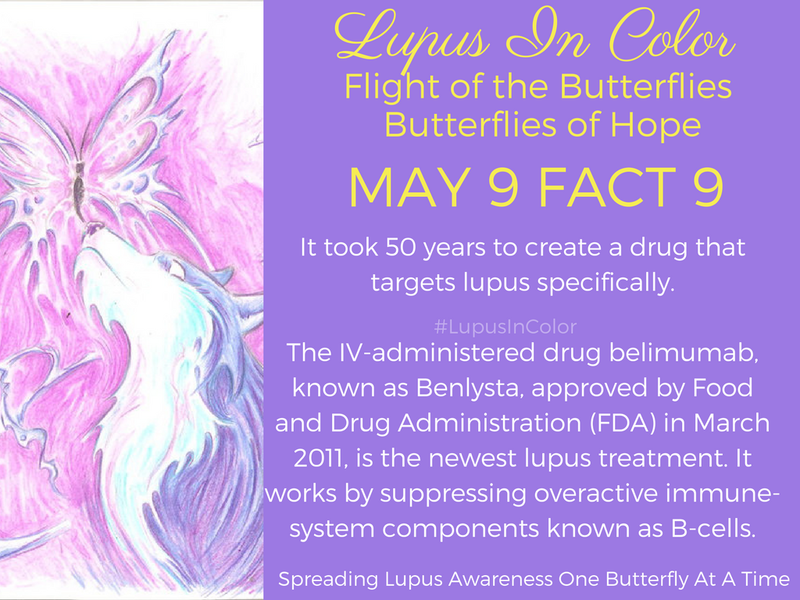 It took 50 years to create a drug that targets lupus specifically. The IV-administered drug belimumab, known as Benlysta, approved by Food and Drug Administration (FDA) in March 2011, is the newest lupus treatment. It works by suppressing overactive immune-system components known as B-cells. This is your ninth butterfly of hope.